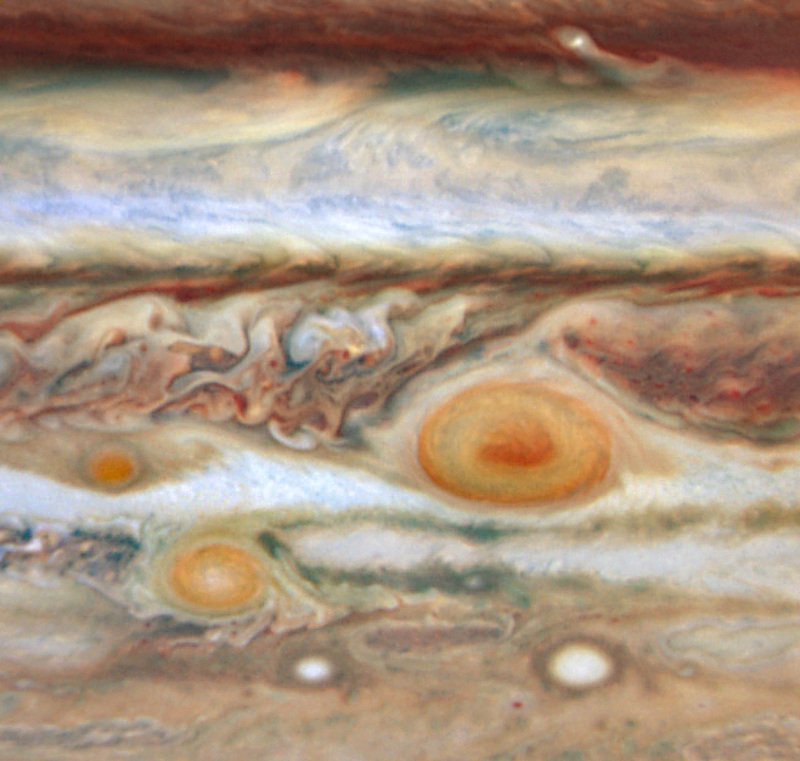 Explanation: For about 300 years Jupiter's banded atmosphere has shown a remarkable feature to telescopic viewers, a large swirling storm system known as The Great Red Spot. In 2006, another red storm system appeared, actually seen to form as smaller whitish oval-shaped storms merged and then developed the curious reddish hue. 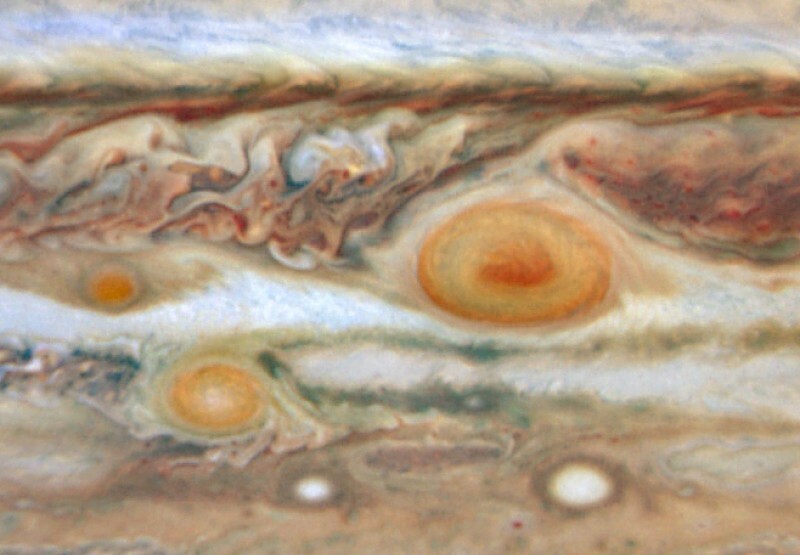 Now, Jupiter has a third red spot, again produced from a smaller whitish storm. All three are seen in this image made from data recorded on May 9 and 10 with the Hubble Space Telescope's Wide Field and Planetary Camera 2. The spots extend above the surrounding clouds and their red color may be due to deeper material dredged up by the storms and exposed to ultraviolet light, but the exact chemical process is still unknown. For scale, the Great Red Spot has almost twice the diameter of planet Earth, making both new spots less than one Earth-diameter across. The newest red spot is on the far left (west), along the same band of clouds as the Great Red Spot and is drifting toward it. If the motion continues, the new spot will encounter the much larger storm system in August. Jupiter's recent outbreak of red spots is likely related to large scale climate change as the gas giant planet is getting warmer near the equator.